Keeping machines or equipment running in good condition is one of the ideals in any company or business. Having an equipment do what it is intended to do and keep operation going makes for a very productive business. It would equate to a constant daily schedule free of downtime and producing at optimum conditions. No downtime in a business would mean keeping the employee work schedule occupied and fulfilling orders and requirements. Perfect for business and profits. The examples shown on the page do just that and more. Scroll down the page and click download on a sample to take a closer look. 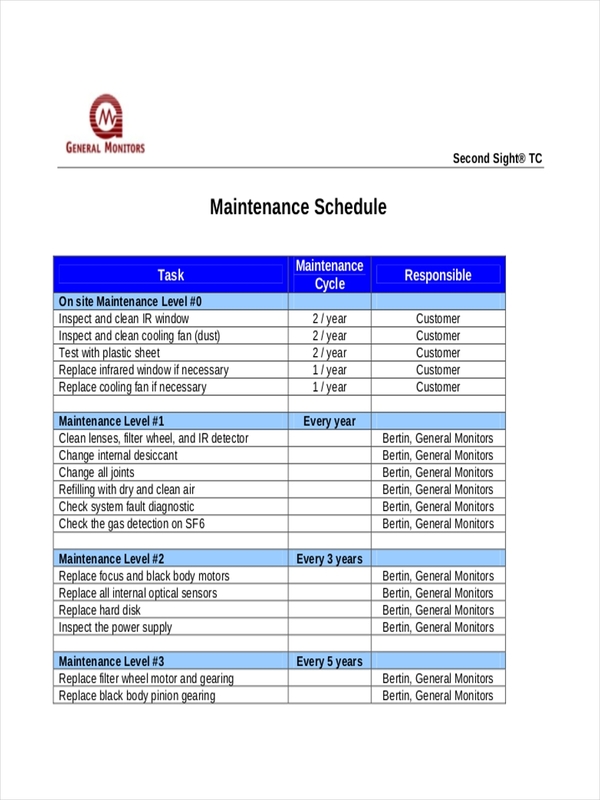 A maintenance schedule is a list of tasks that need to be done in order to keep an equipment in good condition along with target dates of service. 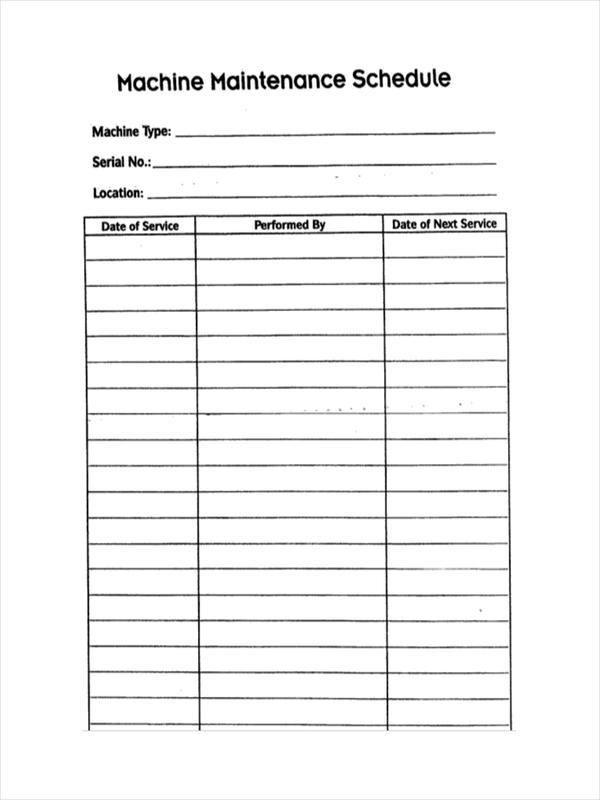 Maintenance schedules are usually done by qualified personnel specializing on the specific machines or equipment. 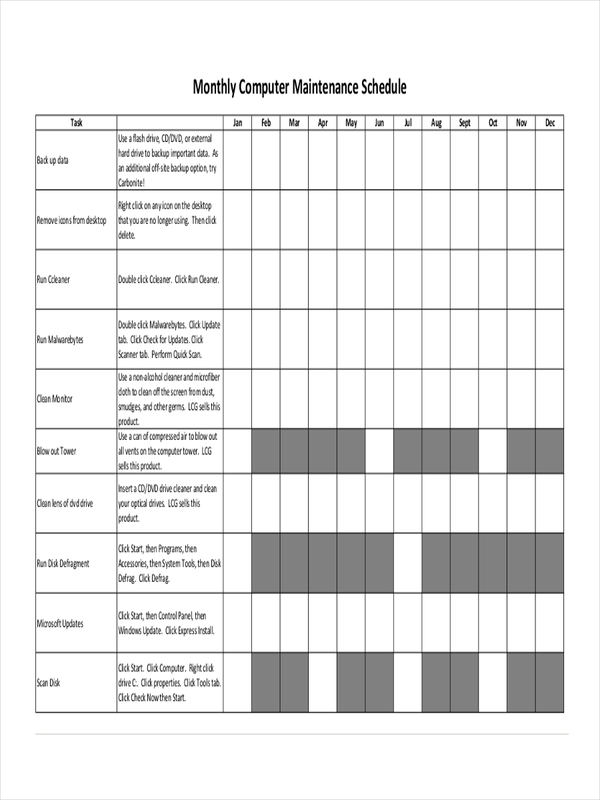 Schedule examples in Word and employee schedule examples seen on the page aid in making that maintenance schedule you want. Just click on the download link button below the sample to find out. 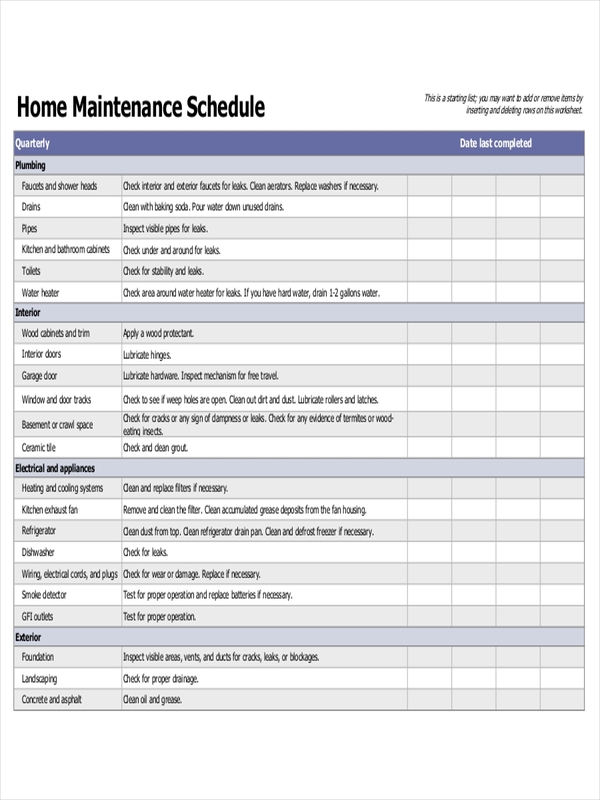 Maintenance backlog – Accomplish first all work that needs to be done. 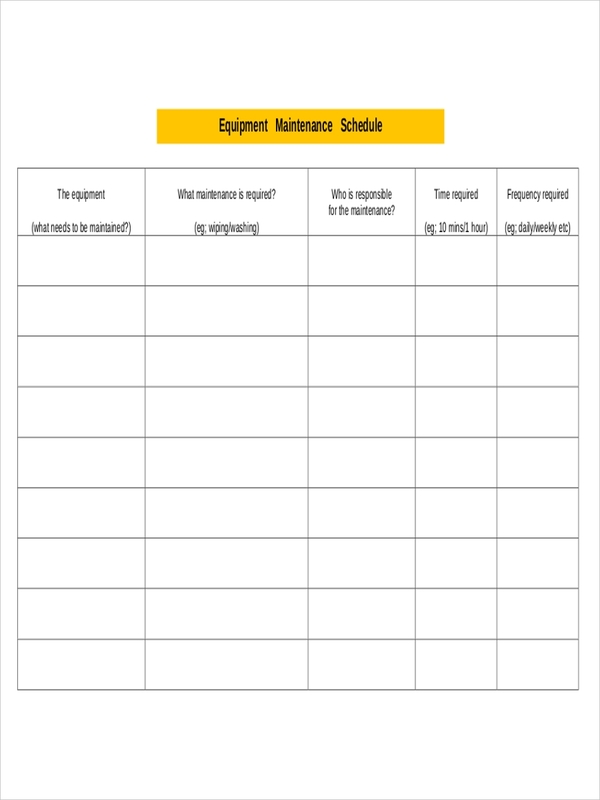 Maintenance work – Find an opportune schedule to do maintenance work and assessment not disrupting operation of the plant or business. 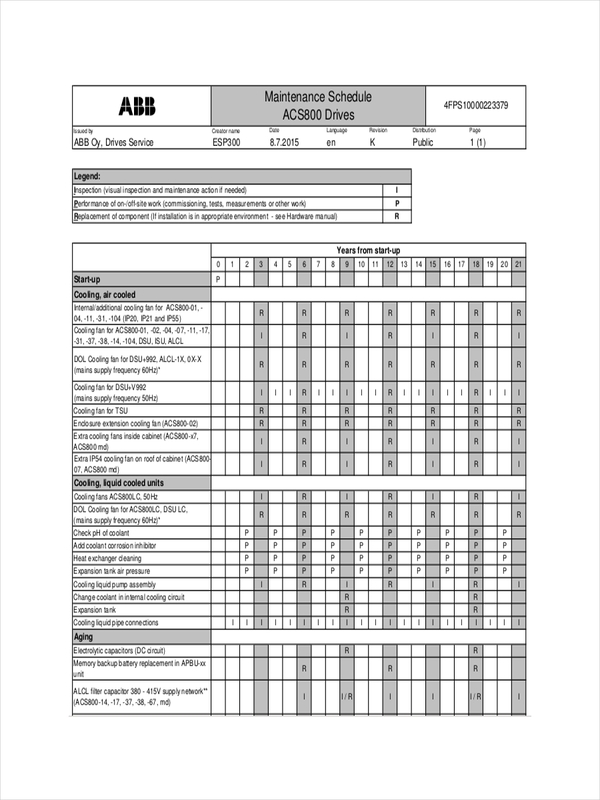 Draft schedule – Make a draft of the proposed maintenance schedule after assessment of equipment. 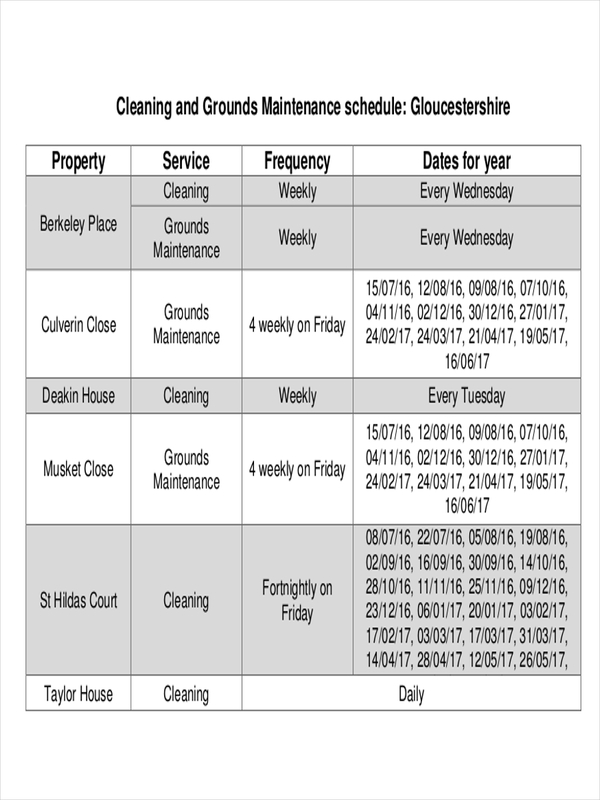 Weekly maintenance meetings – Plan for weekly meetings to discuss progress in general maintenance plan. 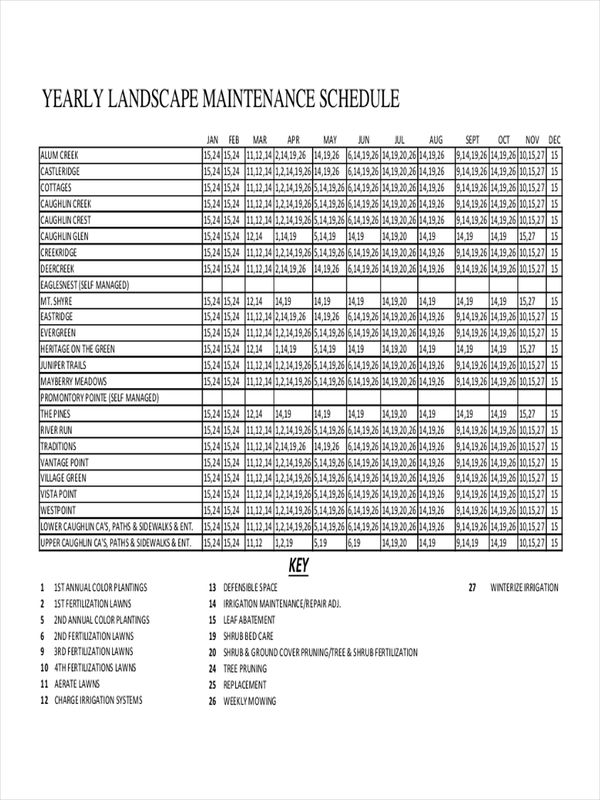 Sample schedules and project schedules are found in the page to provide further information regarding a maintenance schedule. Try clicking on a sample to learn more about them. 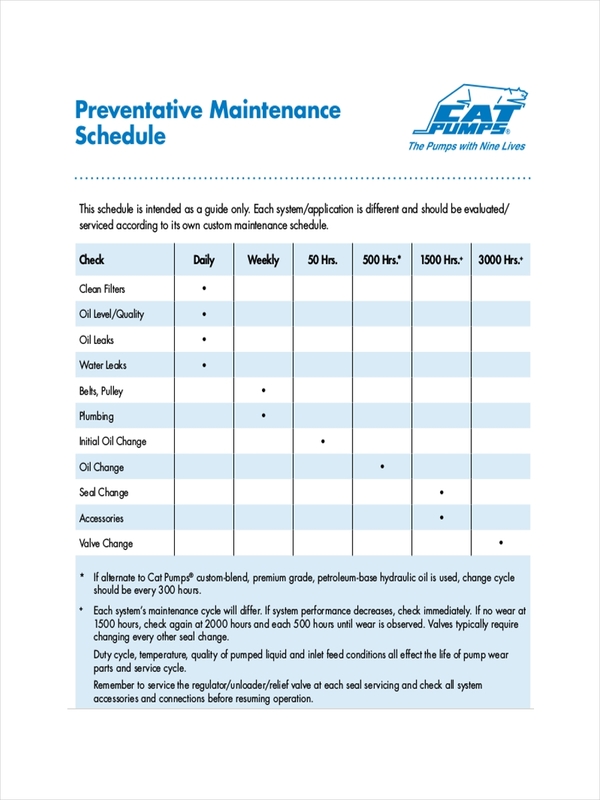 A decrease in equipment or machine downtime will be experienced and major repairs should significantly be reduced. Longer life expectancy for equipment and machines will be achieved due to proper maintenance avoiding costly replacement of equipment or machinery. Decrease in overtime costs with employees doing periodic maintenance rather than emergency overtime repairs due to machine crash or breakdown. Safer working environment due to smooth operation of machine improving the quality of working conditions in the plant or factory. 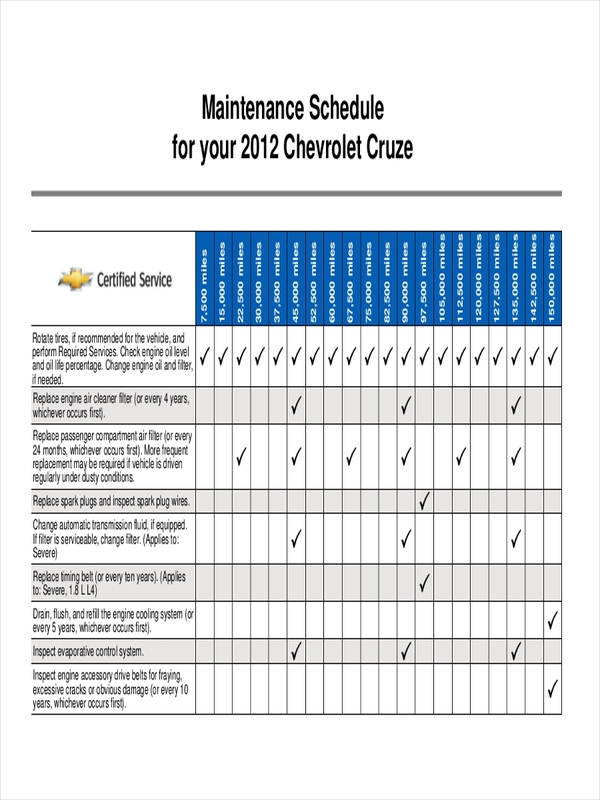 Major repairs are effectively avoided due to minor preventive maintenance work being done on the equipment or machine. There should be a noticeable improvement in overall performance and efficiency in the plant or factory due to lesser downtime. 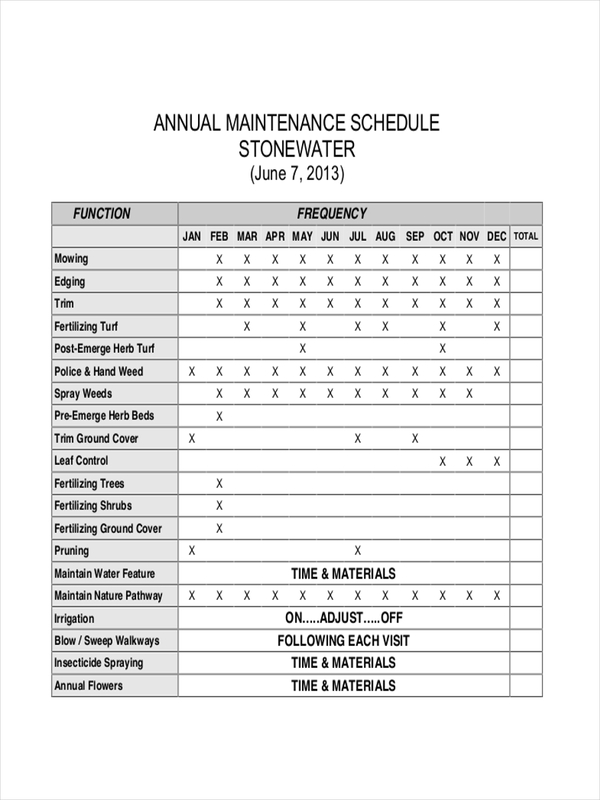 Feel free to download any of the above files for free to review the structure and elements that make up a good maintenance schedule.